Blockchain continues to move forward in popularity. A number of entrepreneurs around the world are adopting blockchain payments, and it’s spurring innovation, as well as bringing cryptocurrencies like bitcoin closer to the public. Different banking concerns in Europe have been developing, using blockchain technology as part of their makeup. The number of ATMs in Europe (and the world) that will exchange bitcoin are growing. This can be helpful if you are traveling and want to change out your bitcoin for local currency. There are even bitcoin ATMs in the United States if you know where to look. The rise of bitcoin ATMs and a greater interest in blockchain payments mean that more people are paying attention. While cryptocurrency has a way to go before it becomes completely mainstream, it is making significant strides. These ATMs make it easier than ever to convert bitcoin into other currencies. Plus, it could also mean more cryptocurrencies will be included in the future. Even though we focus a lot on bitcoin, the reality is that there are plenty of other cryptocurrencies as well. Last year, the cryptocurrency Nxt launched its scalable blockchain platform, Ardor. This year, Ardor is even more widely available and is in beta-testing to the public. The idea behind Ardor is that it is an easier way to manage blockchain applications. The idea is that anyone, from individuals to businesses, can use it to complete transactions. There is multi-step functionality built in, requiring parties to agree to certain conditions before completing transactions. That way, it’s possible to verify work before sending payment. On top of that, Ardor also allows automatic transactions, making it easier to set up recurring payments. Nxt isn’t the only company doing this, either. There are other companies looking to build on blockchain payment platforms in an effort to make them more open and accessible for business applications on a global scale. With so many innovations in blockchain technology, it’s not surprising that more people are adopting it. There are a lot of secure transactions available with blockchain technology, and it also makes for the ability to engage on a global scale. After all, you don’t have to worry about exchange rates when using cryptocurrency. There are a number of secure transactions that can take place with blockchain technology, though. Not just financial transactions (although right now cryptocurrency transactions are the main focus). 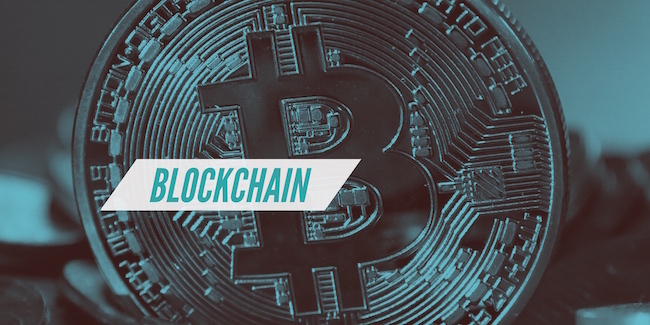 As more companies and individuals use blockchain technology for business and personal transactions, it will become more popular. There’s so much that can be done, from contract enforcement to signatures to promotions. It might surprise you how useful this technology can be. As long as blockchain technology continues to grow in popularity, innovation will move forward. Demand for security, flexibility, and convenience are driving the blockchain revolution. Transparency is also playing a role since many of these technologies also include public ledgers. As technology improves, and as more businesses and individuals look for efficient and secure ways to complete their transactions — financial and otherwise — we’re likely to see more growth in blockchain and cryptocurrency.